Erik Wilcox from Growmark explains features of the new simulator. GLT's student reporter Nate Head tests the simulator. Erik Wilcox from Growmark demonstrates the new simulator. 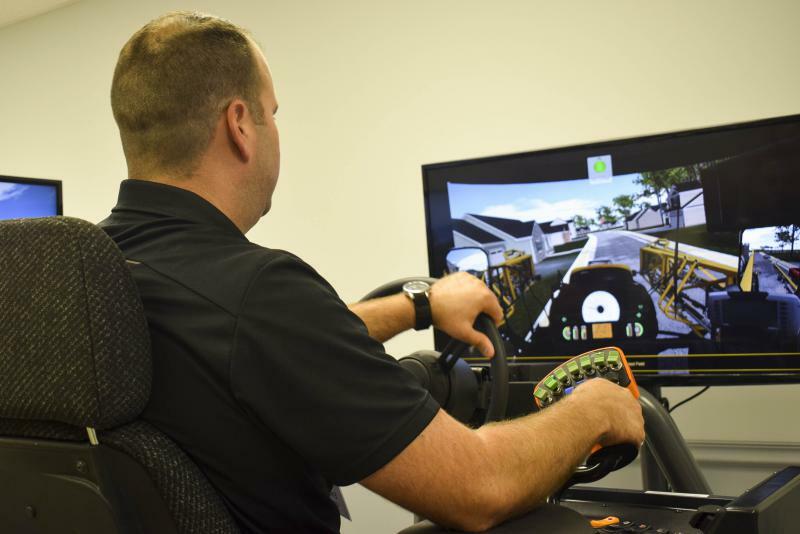 Growmark on Wednesday unveiled its new FS applicator simulator to the media at the company’s learning center in south Bloomington. 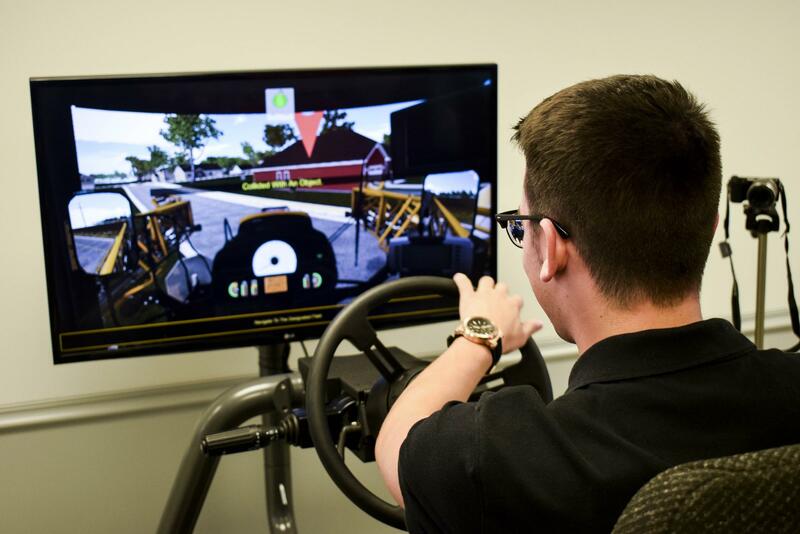 The simulator is reportedly the first of its kind in the agricultural industry and was created as a training experience for FS system operators to practice handling field equipment before getting into the actual seat. 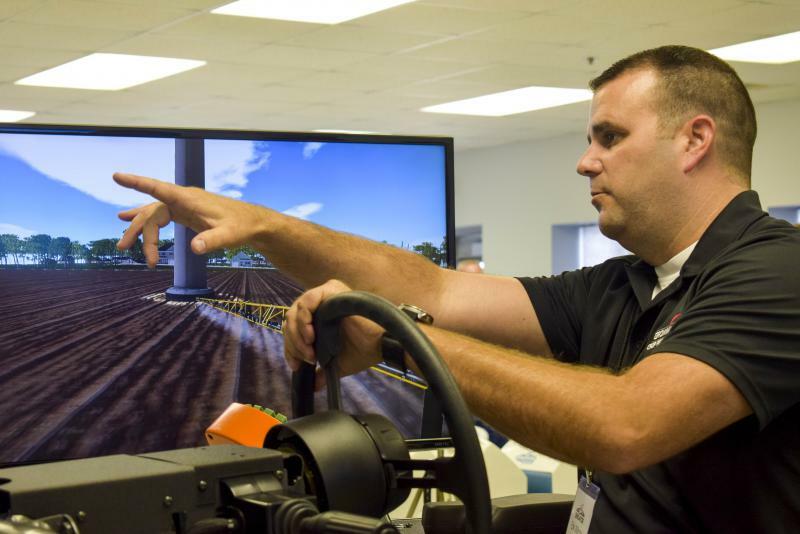 Growmark manager Erik Wilcox says the primary objective of the simulator is to provide realistic experience to trainees. 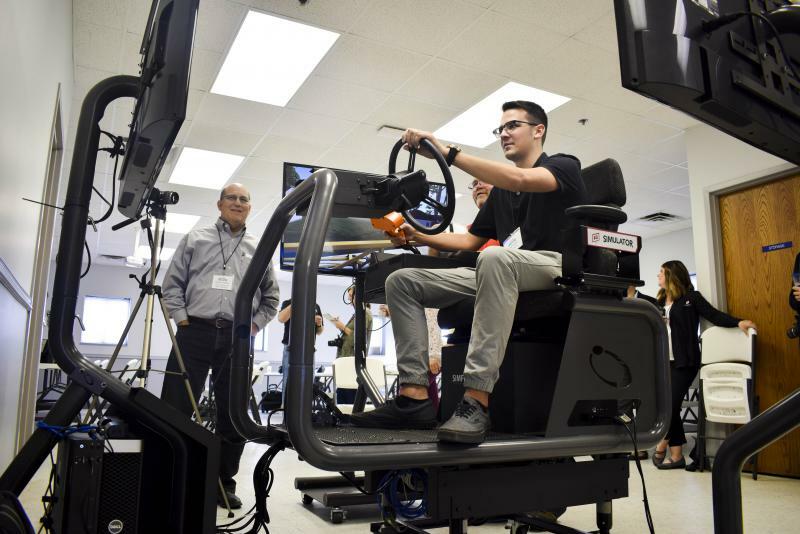 The simulator features a front screen and two side screens on either side of the user, who sits on a raised, moving seat with a steering wheel and various other controls at their fingertips. Users are able to practice in an open field setting before moving on to the two primary courses: road and field. The road simulation allows users to operate a sprayer on highways and streets while the field course gives virtually puts a user in a field. Wilcox says that there was skepticism surrounding the simulator among the machine’s first users—until they tried it. 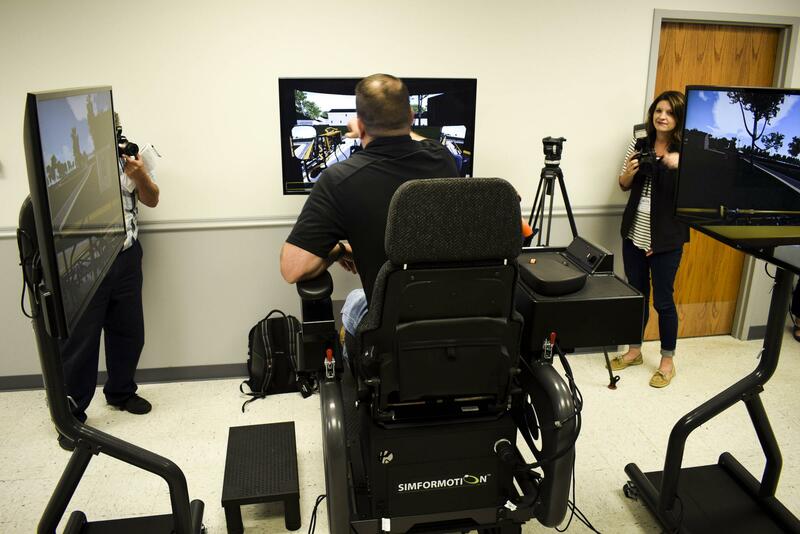 Growmark declined to reveal the cost of the new simulator. 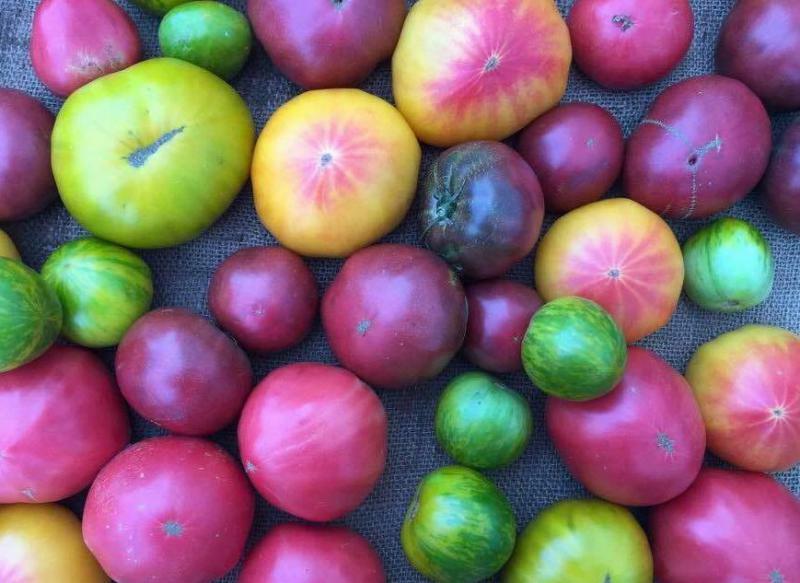 U.S. Sen. Tammy Duckworth said Wednesday she will fight proposed Trump administration cuts to agriculture. During comments to reporters at the Illinois Farm Bureau in Bloomington, the Illinois Democrat singled out crop insurance as something that needs to be preserved. President Donald Trump’s top agriculture official stopped in Central Illinois on Monday to talk with farmers about the next farm bill and other federal programs.